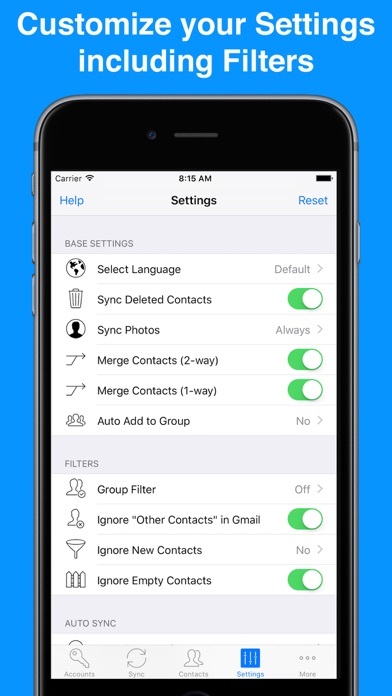 Was always getting multiple entries for contacts. 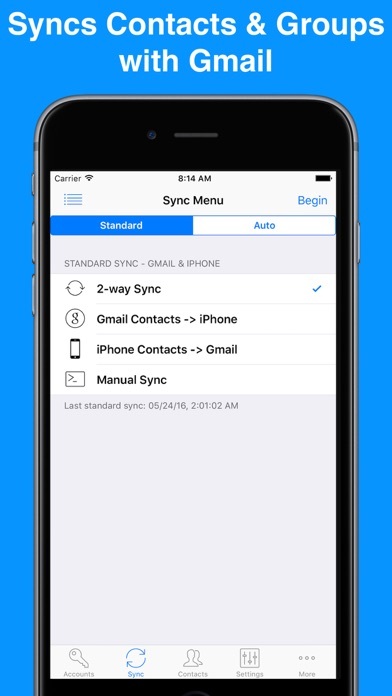 I ONLY sync from iPhone to Google. Have had ZERO problems with that method. THANK YOU!!!!! Great App use it daily. 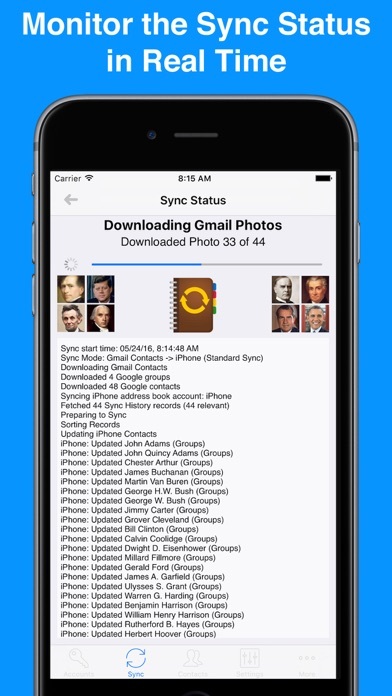 I paid for the full version to sync all my gmail accounts and get rid of duplicates. It only allows one account to be synced with google. I can’t use this. I could not get my 1500 google contacts to show up on my iPhone. I followed the directions on both the google and Apple websites, and even spent an hour on the phone with Apple tech support, all to no avail. This is an obvious, glaring problem that the “geniuses” at google and Apple need to solve. In the meantime this app works like a charm. 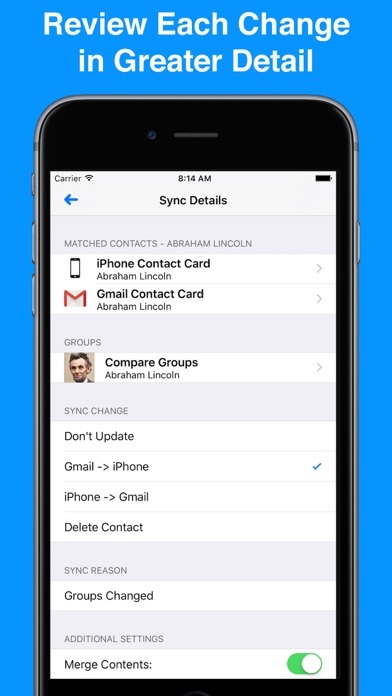 It synced my gmail apps to my iPhone without a hitch and very quickly. Maybe the best $5 I ever spent. Kudos to the developer!! great app. easy and quick. They have four payment options. The last two are donations ONLY. I didn't read carefully and thought if I paid the highest it works include the app. It didn't. I had to still purchase the app. My bad. Be forewarned. With that said the life time purchase is a good deal and the app is worth the headache it saves. 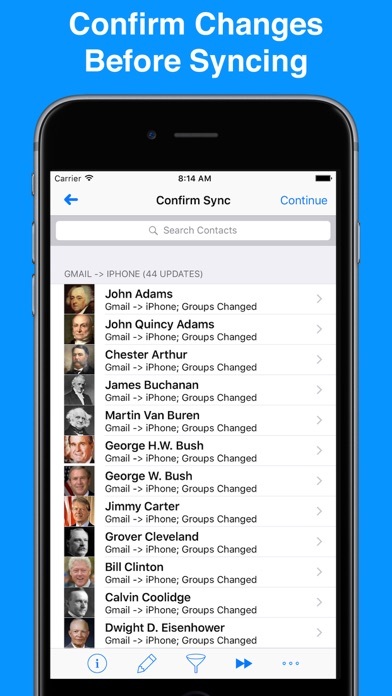 This has been a heavensend to have all my contacts synchronize between all my devices.